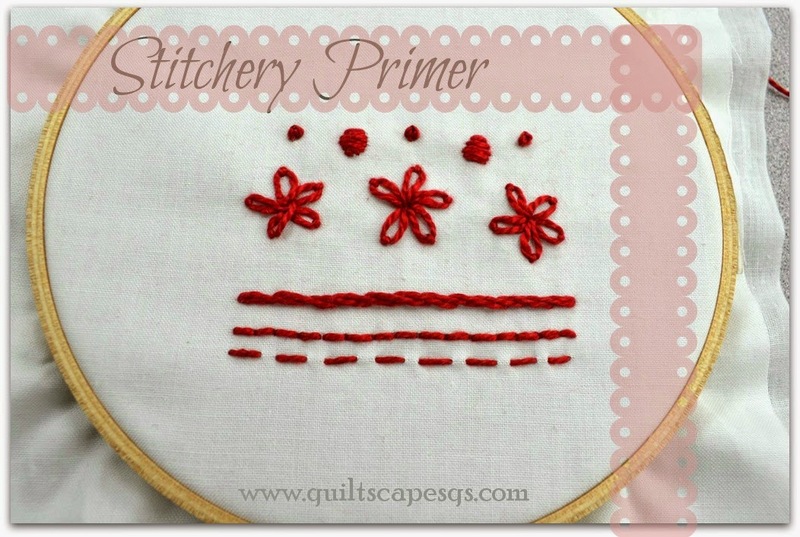 Today's "Sewing Basics" tutorial/demonstration is a handful of the very most basic hand-embroidery stitches. Stitch out a sampler block or make a cute quilt block, name tag or label, or make a fancy Needlenook to carry your stitchery supplies. 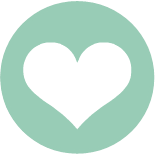 Grab a needle, a little embroidery floss, scissors, a small hoop, and a little plain 8" cotton or muslin square with the same size muslin or flannel for backing. You'll also need a bit of tape and a marking instrument. Needles: Use a sharp needle with an eye large enough to take two to three strands of floss. We'll use a crewel embroidery needle, size 6. It comes in the same sizes as a regular sharps quilting needle, but with a larger eye. 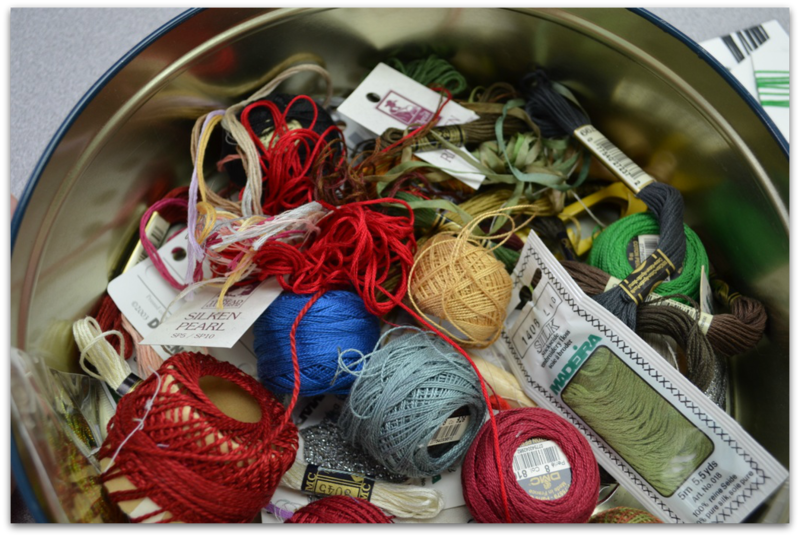 Floss or Perle Cotton: You can find embroidery floss in every color imaginable, and then some. Made with 6 strands of cotton twisted together, the strands may be separated for use. Perle cotton does not separate and comes in different thicknesses, also many colors. I sometimes use a combination. You may want to organize your floss to keep it from becoming tangled! 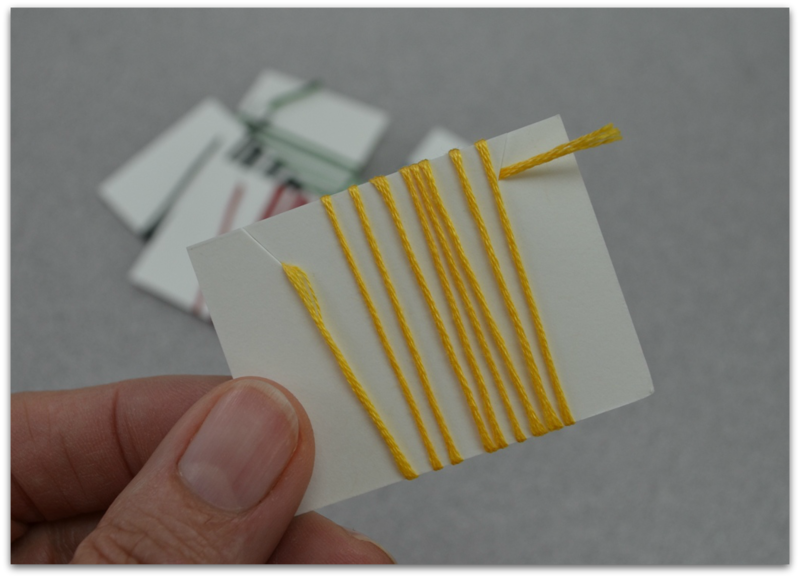 Wrap your floss around a small card to organize your colors and help make your project portable. I used cardstock with little snips on the side to lock in the floss to prevent entanglement... Yikes! Use a plain square of fabric to practice the basic stitches. Draw a few straight lines across your practice square if you'd like, about 1/4" apart. Layer your fabric with a piece of backing such as muslin or flannel. 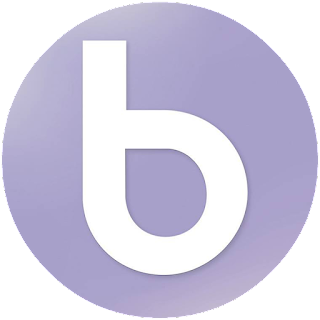 This will help to prevent any thread shadowing or showing through. Cut a piece of floss 12" to 14" (from wrist to elbow is a good rule of thumb). This keeps the floss to a manageable length, and is less likely to form knots (or poke a neighbor with the needle if the thread is too long). Hold the floss in one hand and tap the end to separate the strands. 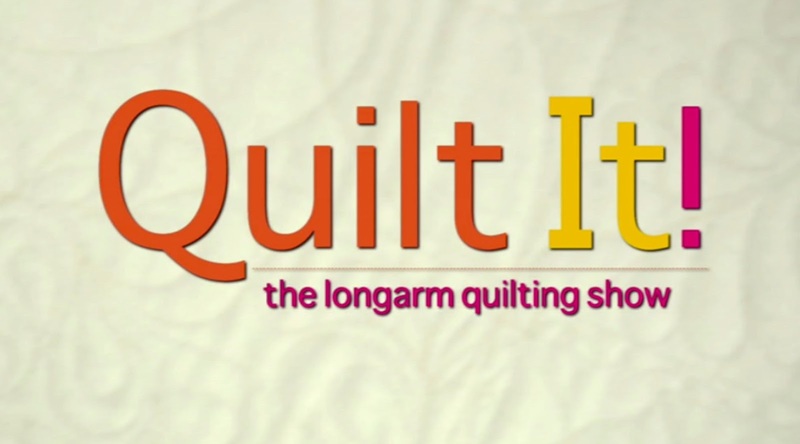 Pulling out one strand at a time will help prevent knotting during this process. I'll be using rather large thread for the example. 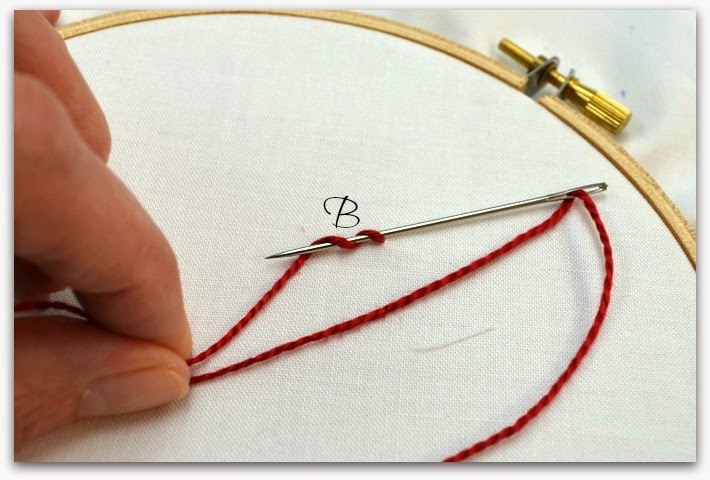 RUNNING STITCH ~ The very most simple embroidery stitch. The thread runs in and out of the fabric and looks like a dotted line. Tie a knot to begin, and bring the needle to the top. Working from right to left (if you're right-handed), weave the needle in and out for several stitches at a time. Keep the stitches and spaces between as even as possible. This "Big Stitch" is especially effective in hand-quilting when used with perle cotton or crochet thread. 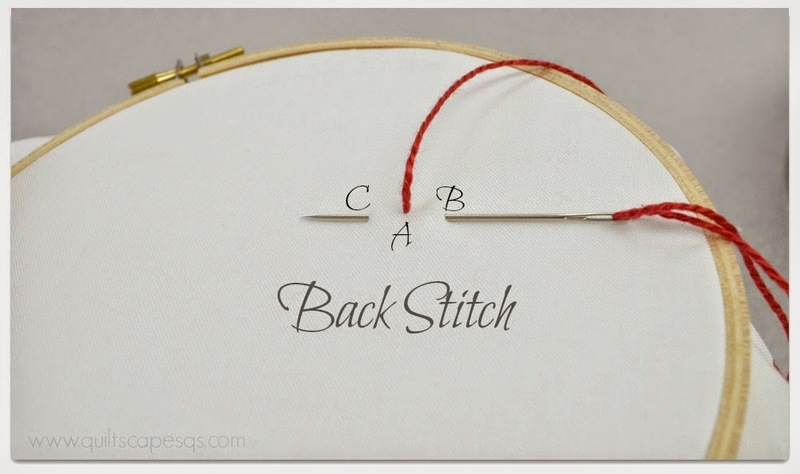 BACK STITCH ~ This is a good outline stitch. Knot or hold the tail of your thread to work in later. Working from right to left, bring the needle out about 1/8" from your starting point (A). Insert the needle back into the fabric at the starting point (B). 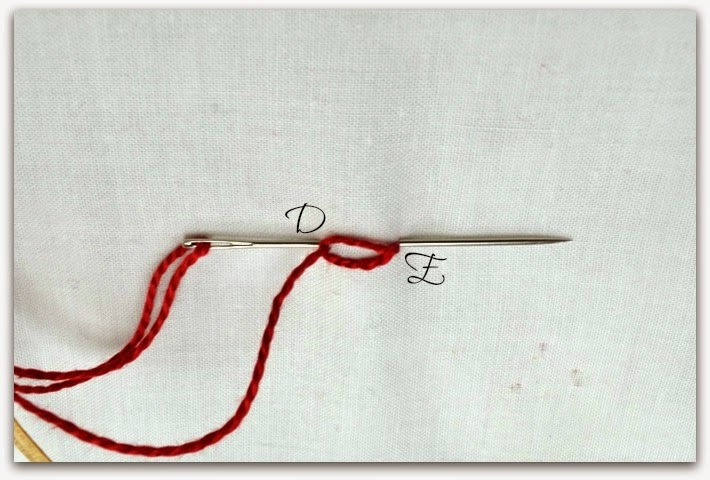 Then bring the needle out about 1/8" in front of the previous stitch (C). Next, insert the needle in the same hole the previous stitch came out and repeat the series. 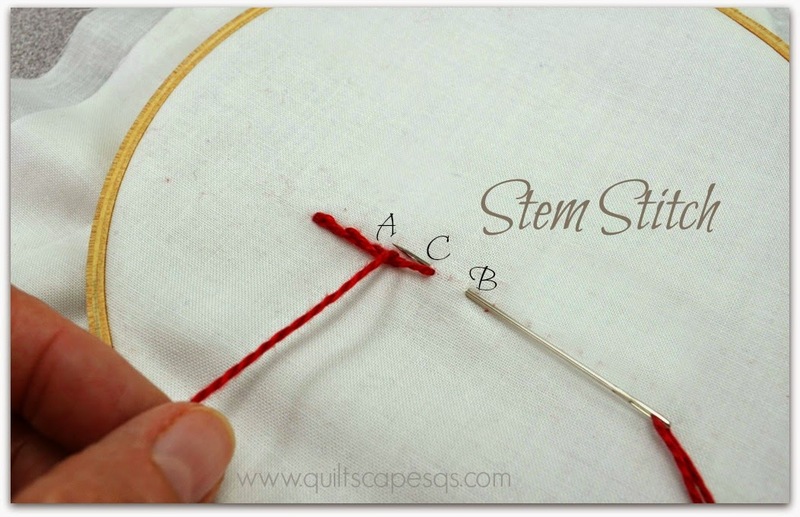 STEM (VINE) STITCH ~ This stitch is also a good outline stitch and works really well as a stem. It gives a thicker, almost woven look, and curves easily. Work this stitch from left to right. Make one running stitch and bring the needle back up near the beginning point. Then bring the needle out to overlap the previous stitch (about 1/8") and back up near the end of the first stitch. You'll be making one long stitch forward and one short stitch back. 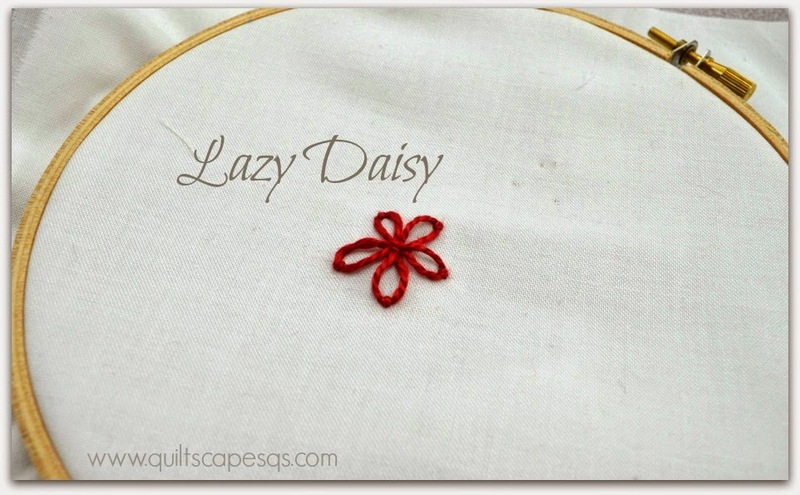 LAZY DAISY ~ This is a single chain stitch. Often used to create flower petals or leaves as in the sampler below. 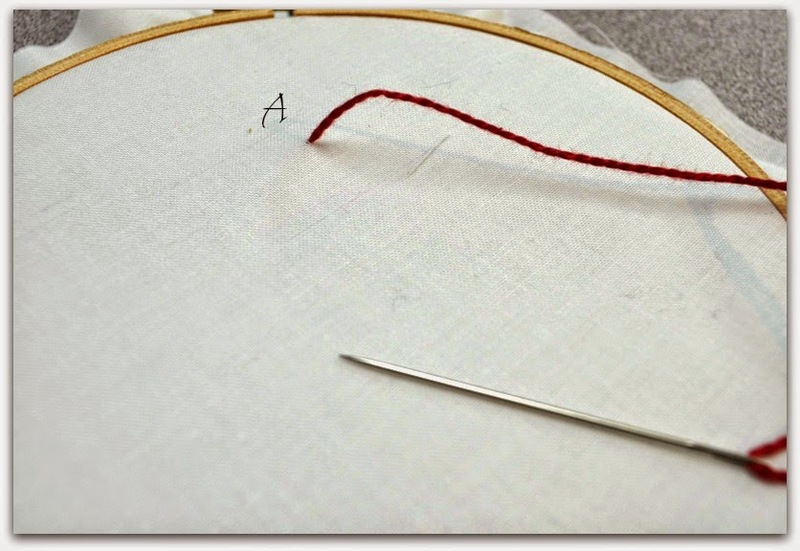 Bring the needle out at the starting point (A), then with the thread held in place to form a loop, take the needle back down where it came out (B), and bring the needle out where you want the petal or leaf to end, inside the loop (C). Next take a stitch over the loop and back down into the fabric (D). Bring the needle up near the starting point (E) and continue on or repeat as many times as desired to form a flower. 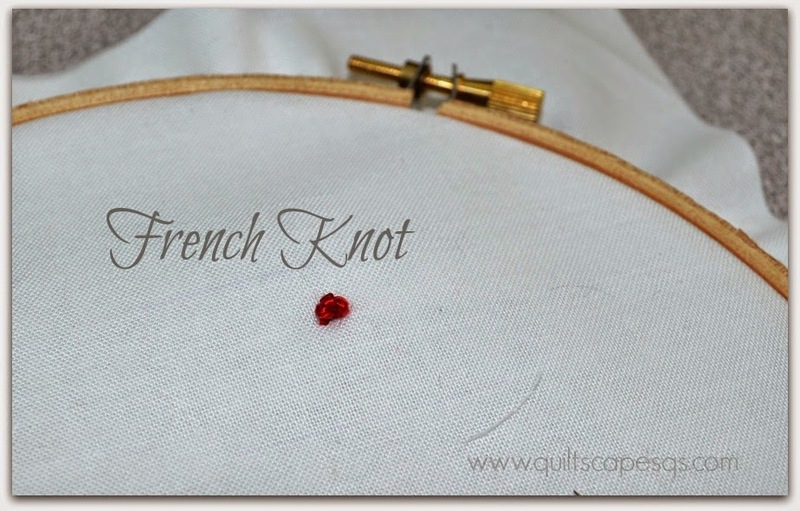 FRENCH KNOT ~ Sweet little dots to emphasize the center of a flower, an eye for our little bird, or other accents. Bring the needle up at the starting point (A). 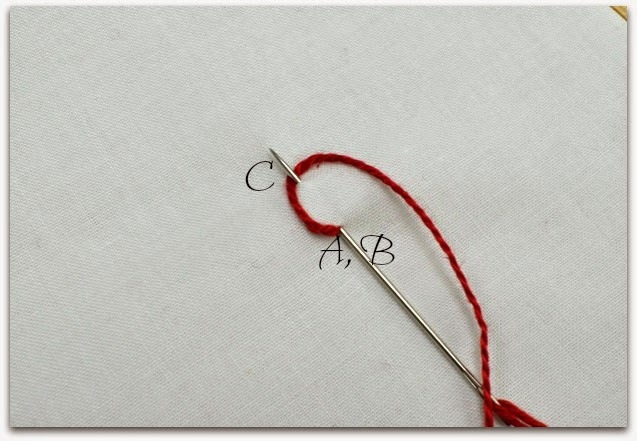 Lay the needle to the side of that point and wrap the thread around the point of the needle about 3 times (B). Pull to keep the thread taut, then take a stitch close to the starting point, still holding the wrapped thread tight against the needle as the stitch goes into the fabric. 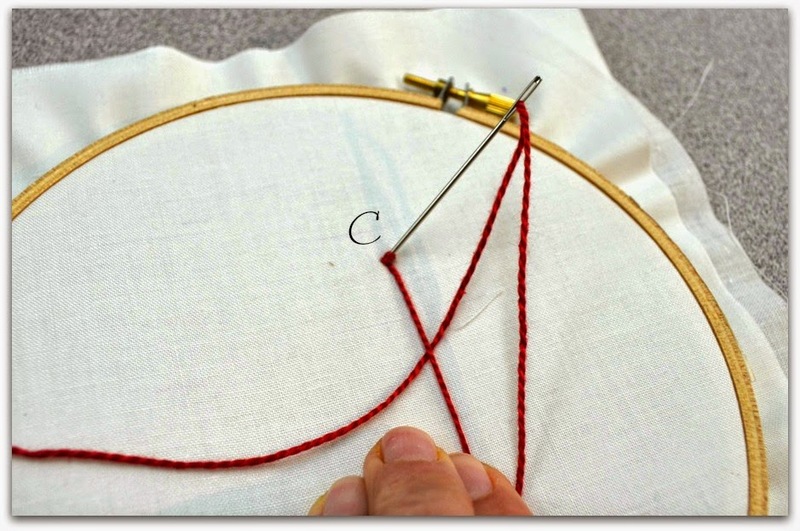 Pull gently so the knot that forms with the stitch stays on the surface (C). 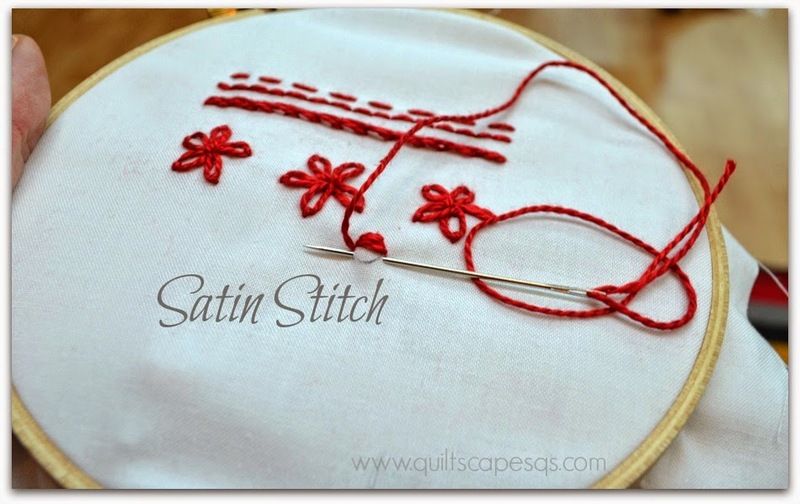 SATIN STITCH ~ Use a satin stitch to fill in spaces. 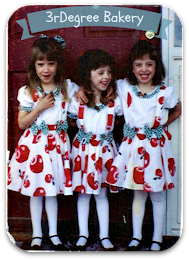 You may wish to outline with a running or backstitch for this process. Bring the thread to the surface at the starting point, then carry the thread across the space you're filling and back underneath to the starting point. Basically, you're whip-stitching neat, parallel lines. 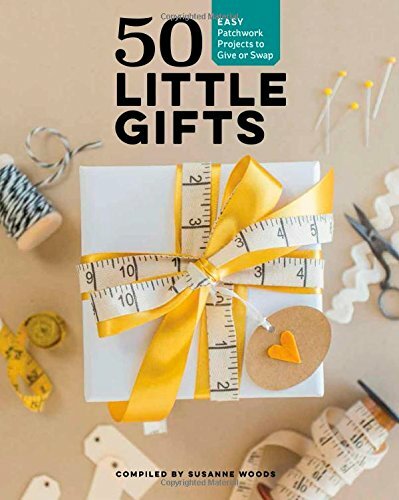 Now let's take all these stitches we've practiced, and make a quilt block, a quilt label or name tag, embroider an apron or dishtowel, or make something else with our stitchery. Download and print the free pattern below, or sketch out a motif or drawing of your preference. 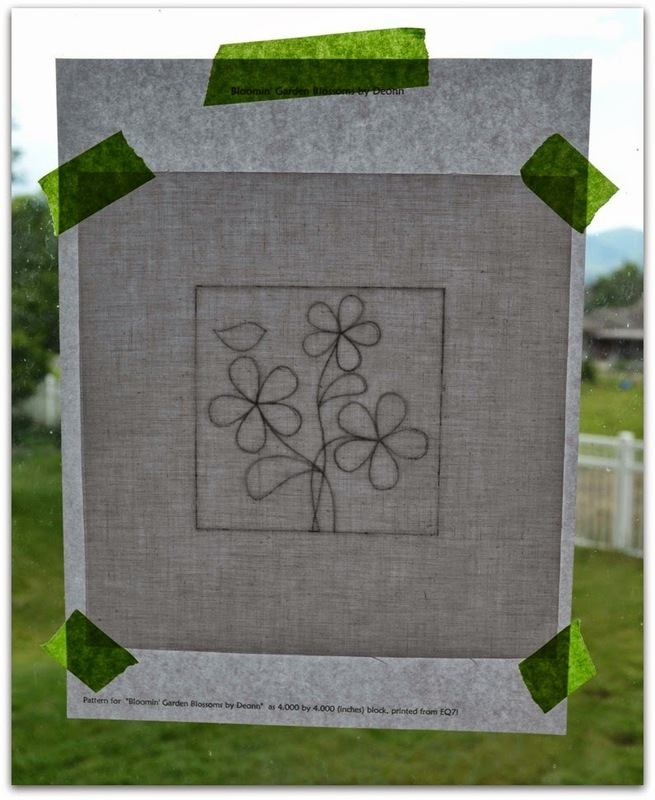 Tape pattern to a window or light box, center fabric piece over the outline and TRACE. If I'm not planning to press my stitchery before stitching the entire project, I like to use a Frixion pen (marks disappear with heat or friction). Otherwise, I'd use a .001 Micron pen to get the finest lines possible. I don't suggest using an air-soluble marker as the marks may disappear before you finish stitching. Nor a pencil, as the lead will make a permanent mark, may get your floss dirty, and may make too wide of a line to cover with stitches. 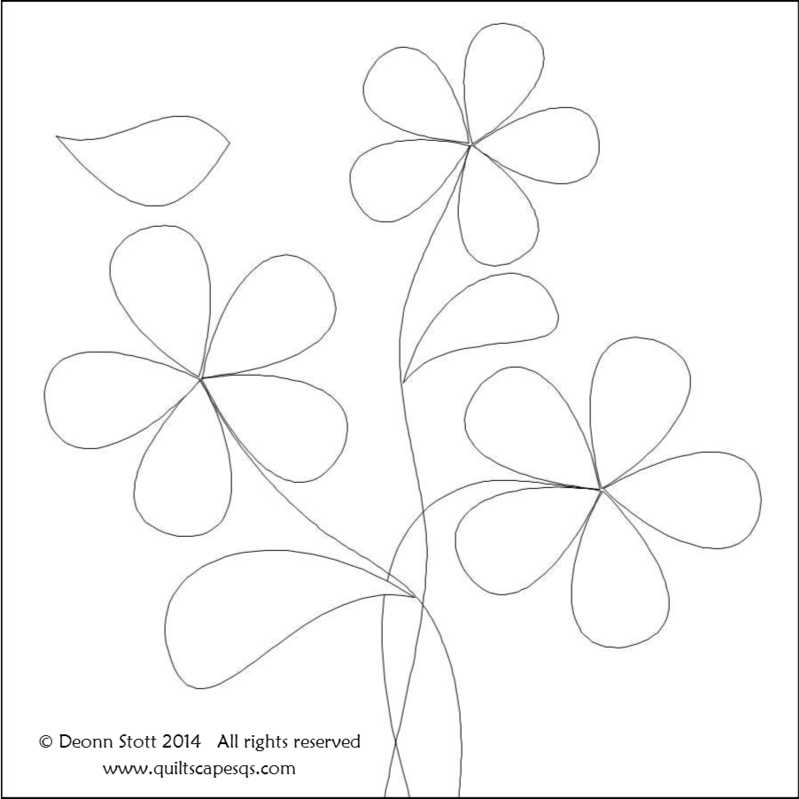 On the larger pattern, use your choice of outline stitches for the flower, stem, leaves and bird. Add a Lazy Daisy stitch to the inside corner of each flower petal. 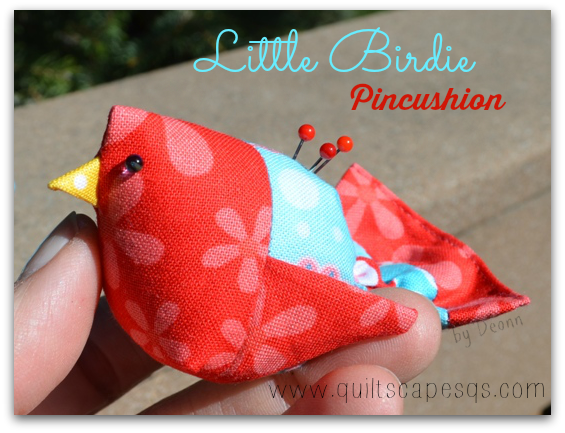 Stitch a line through the middle of the leaves, and add a French knot for the bird's eye, and a satin stitch for it's beak. 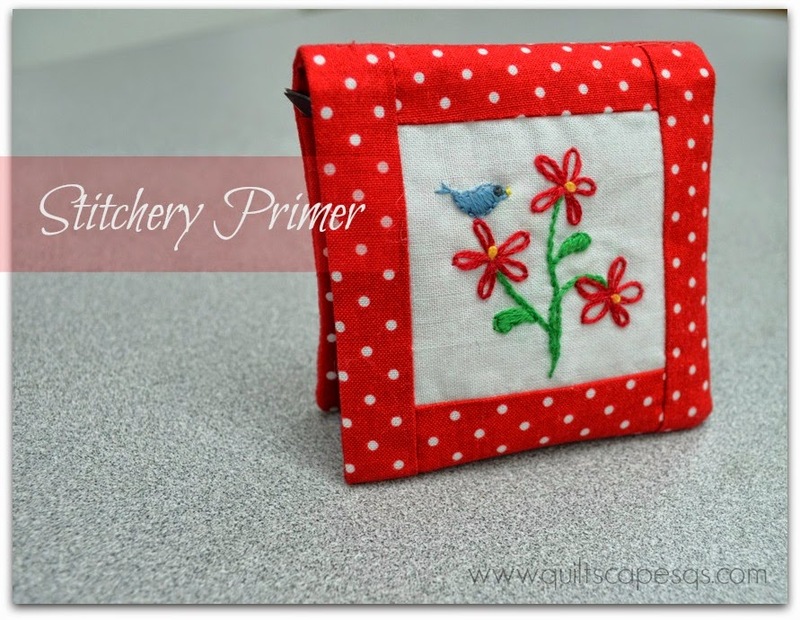 The mini stitchery pattern is printed in the size to allow each petal and leaf to be made with one Lazy Daisy stitch. I used mine in a new Needlenook. 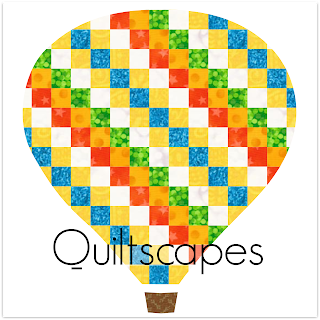 Click HERE for the tutorial, another fun little "Snippet" for the sewing room! I really learned a lot from those stitches. Thanks for sharing.